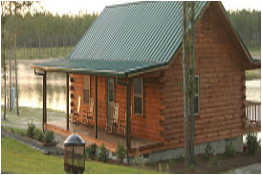 Located off HWY 80 East in Twin City, GA, Beaver Creek Plantation has been offering some of the finest quail hunting courses, guides and trained dogs since1998. Our plantation manager, Jerry Webb, has over 45 years of knowledge, making your Beaver Creek hunt a memorable and authentic experience. If it’s spending time with your family and friends, or conducting a serious business meeting, Beaver Creek Plantation's lodge is equipped with two conference rooms, ProShop, wet bar, comfortable lounge, and accommodations for dining 100 guests.